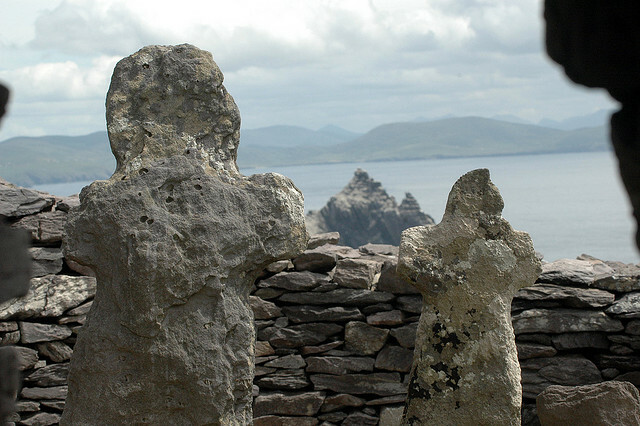 It is easy to imagine the early Irish Christian monks leading their extraordinarily spartan day to day existence here – to say that life would have been harsh for them is something of an understatement. 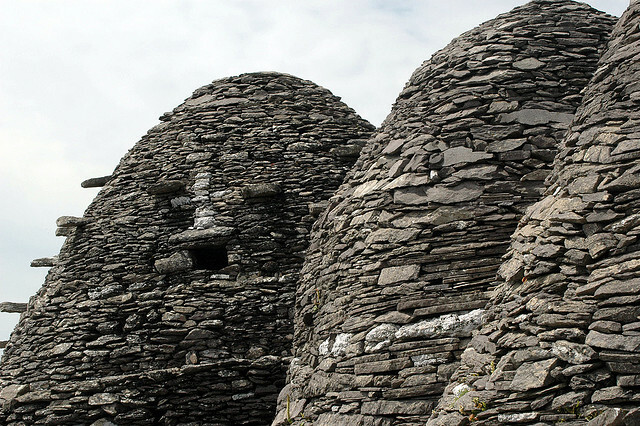 Their huts, in the shape of beehives and called clochans, indicate the bareness of life on the rock. 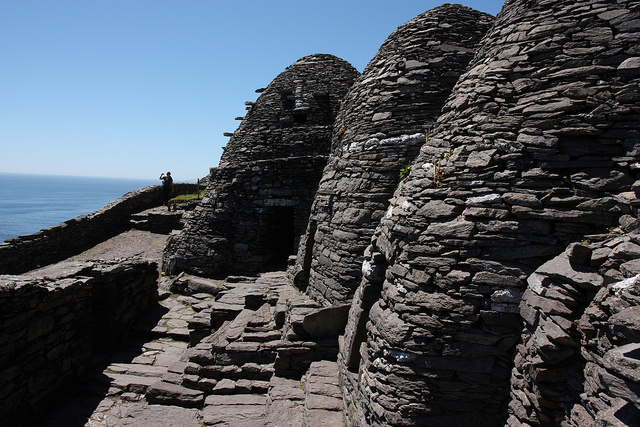 These monks would have shrugged off all of their earthly possessions before they came to live here. 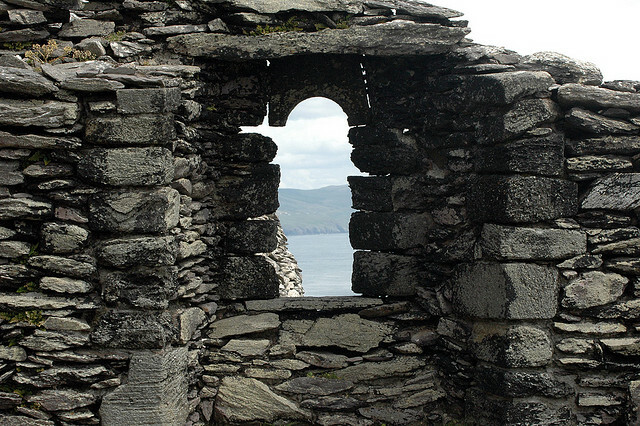 Although it is not by definition a hermitage it must surely have been a lonesome existence for the monks, despite the faith which initiated their decision to move there. 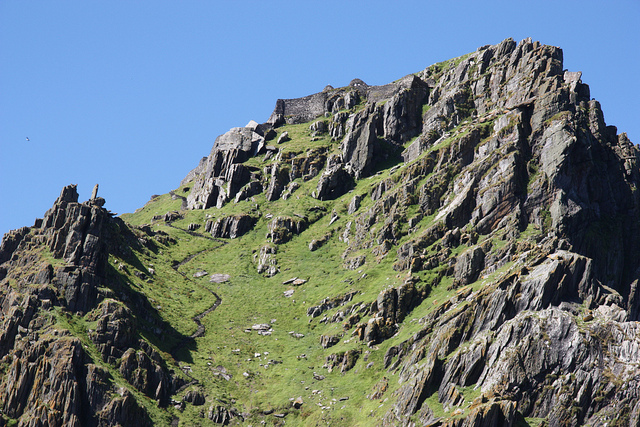 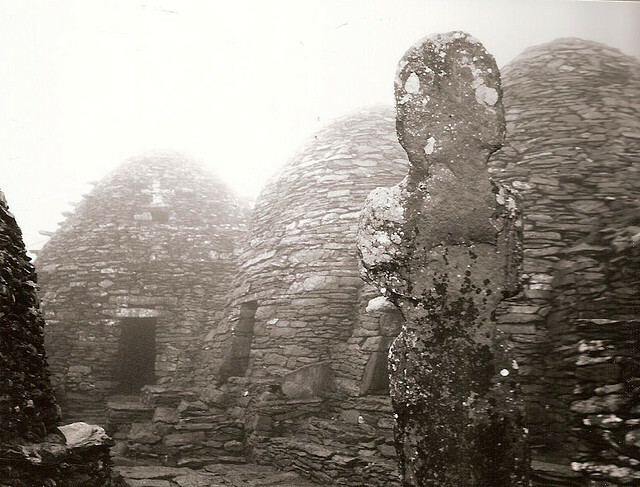 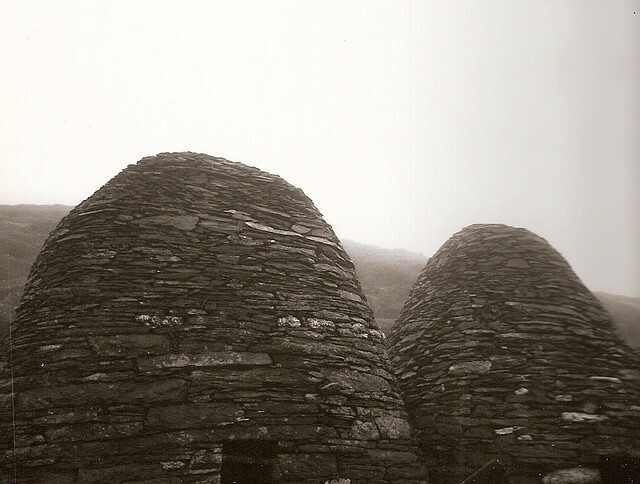 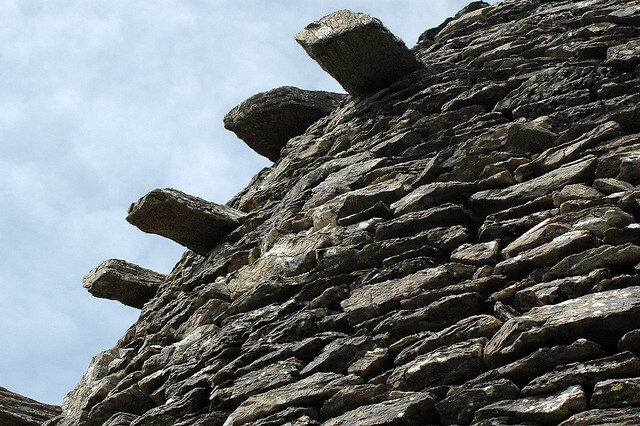 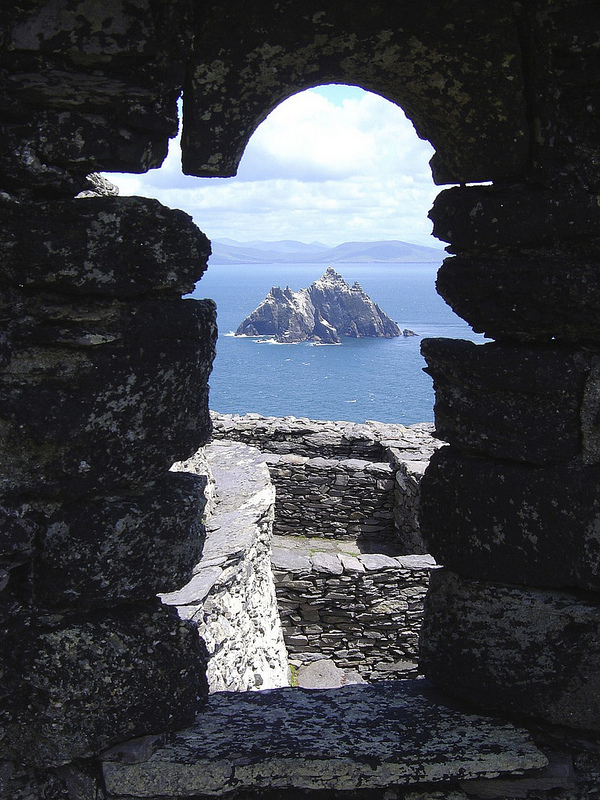 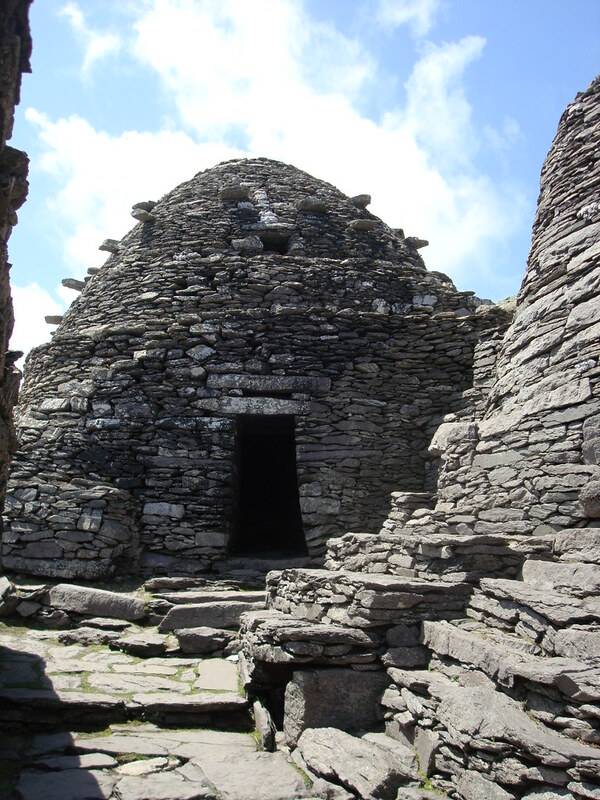 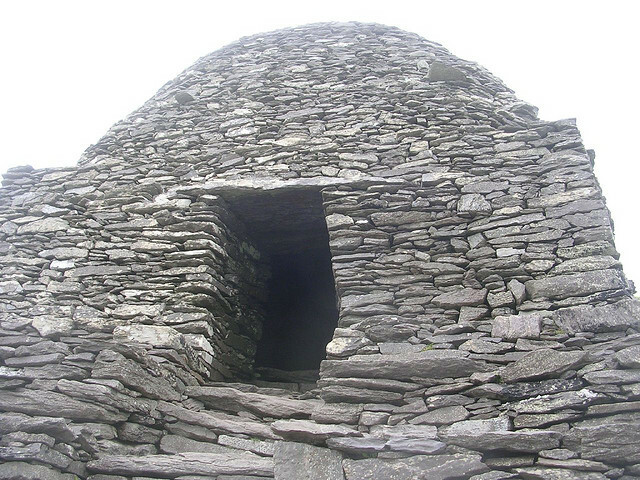 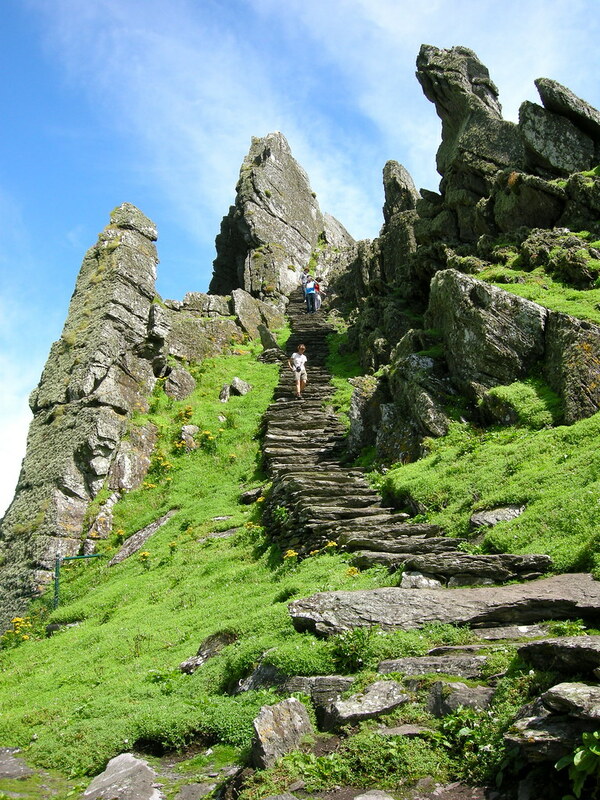 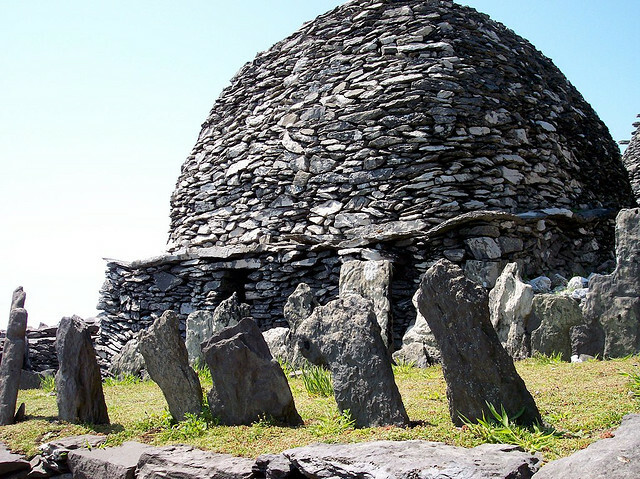 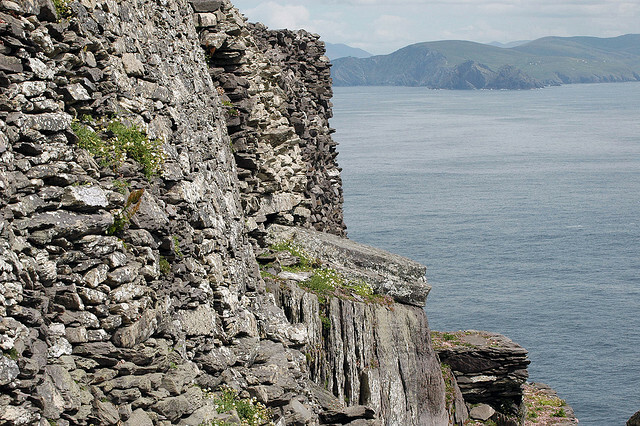 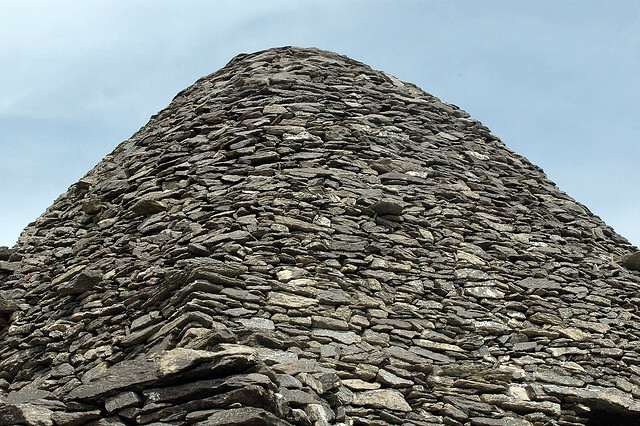 Although Skellig Michael was not intended as such there is a hermitage on the island, distinct from the monastery. 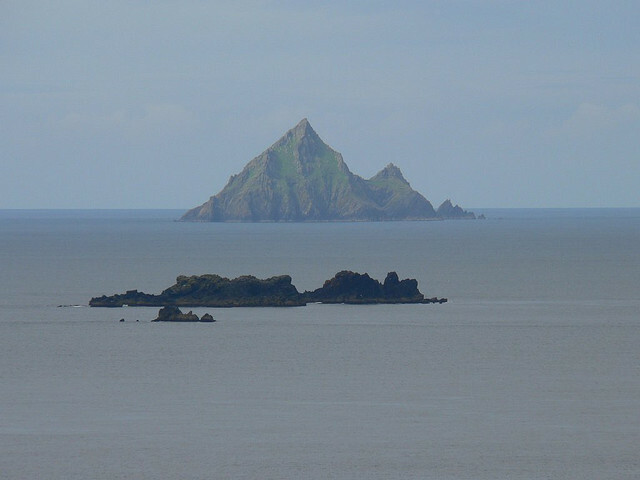 As if a rock in the Atlantic was not isolated enough this extreme form of retreat afforded those monks who wished to contemplate the divine in complete isolation the opportunity to do so. 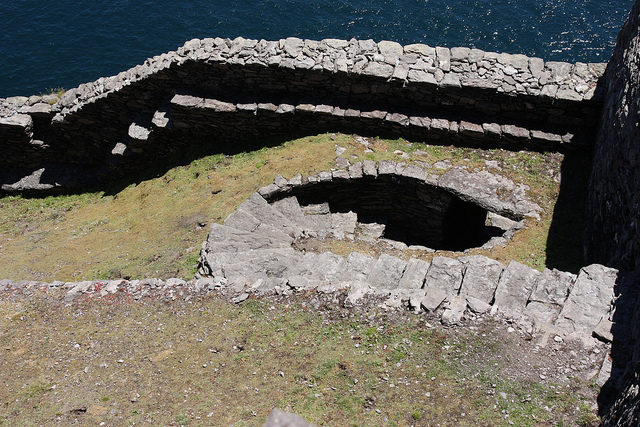 Daily life and its demands also had to be taken in to account and there is a latrine on the island which is situated over an enormously yawning gap in the rock to ensure that waste matter was thoroughly disposed of. 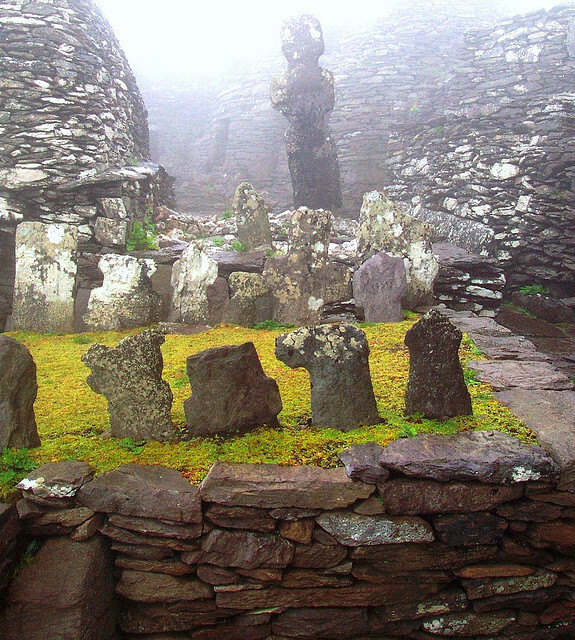 There are also the remains of a garden which the monks would use to grow essential vegetables. 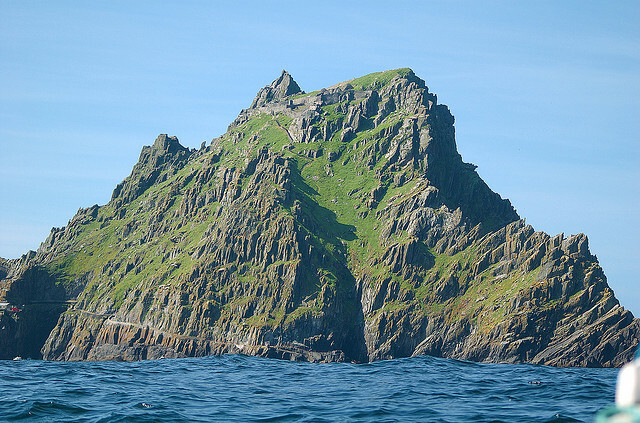 There is evidence that Skellig Michael suffered several Viking raids, though quite what the visitors from the north would have hoped to pillage is questionable. 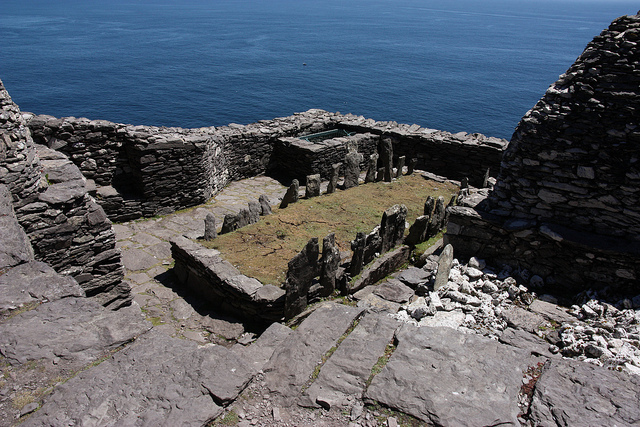 However, these raids may have caused the monks to decamp to the mainland in the twelfth century even though the later chapel was built at around the same time. 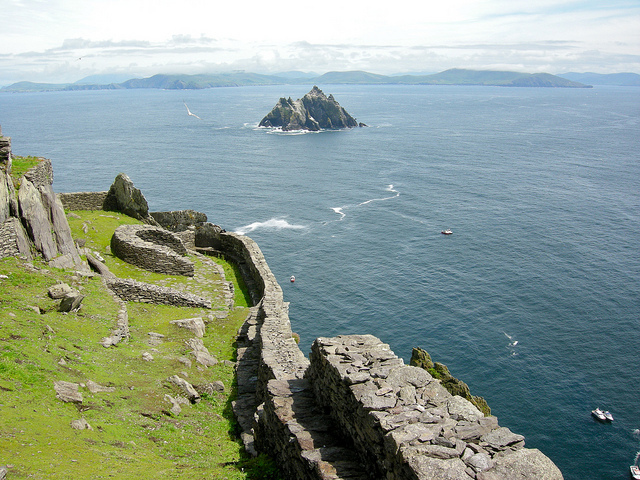 One can only attempt to imagine the dread that the isolated and virtually defenceless monks must have felt at the sight of an approaching Viking longship.